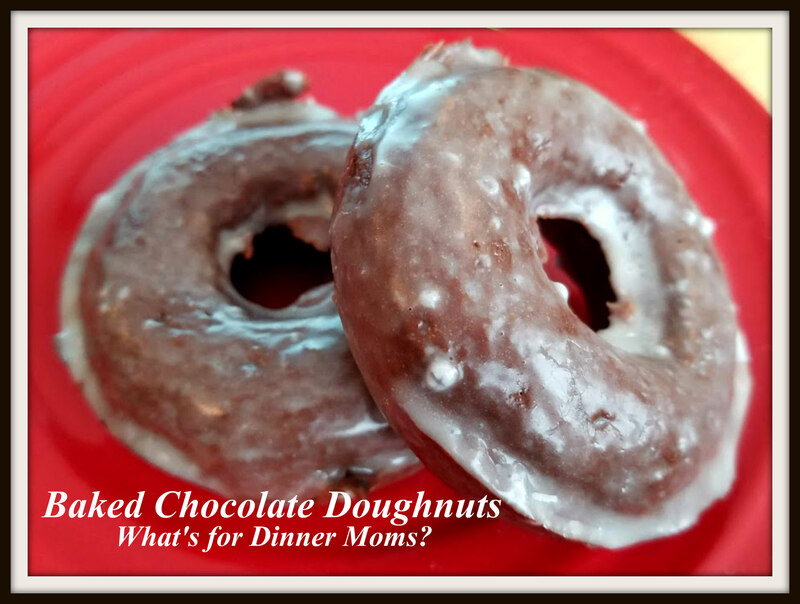 Christmas Cookies Week 3:Baked Chocolate Glazed Doughnuts – What's for Dinner Moms? With the recent snow storms and cold temperatures we are spending quite a bit of time inside. That means lots of time for baking and cleaning! Anyone else obsessed with Marie Kondo? Yes, I binge watched the Netflix series and wasn’t even through the first episode before I was upstairs refolding all my clothes and rearranging my dresser drawers. I made my kids empty their dressers and closets so that we could clean them out. They think I am crazy but they both liked it when it was done. So, we wanted to make something special for brunch for all the work we were doing shoveling, cleaning, and baking. I bought a doughnut pan awhile ago on clearance and have used it a few time but with Marie Kondo in the back on my mind I was trying to determine whether or not to keep the pan. I decided to keep it and use it more. Doughnuts make me happy and bring me joy. We all liked the doughnuts. Where we disagreed was on how to top them . The glazed doughnuts were good but my daughter and I preferred them with frosting and sprinkles. All a personal taste preference. Adding mini chocolate chips to the batter would be delicious too and up the chocolate taste! Preheat the oven to 350 degrees. Grease doughnut pans well. Into a large bowl, mix together the flour, cocoa powder, sugar, baking powder, and salt. In a small bowl, whisk together the egg, milk, melted butter, vegetable oil, and vanilla. Spoon or pipe the batter into the baking pans about 2/3 to 3/4 full. Bake for 17 minutes or until a toothpick comes out clean. Allow to cool for 5 minutes, then tap the doughnuts out onto a sheet pan. 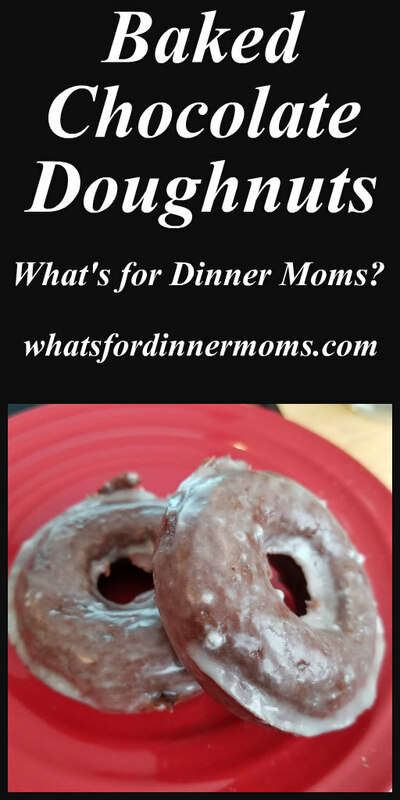 .As each batch is finished baking, coat the hot donuts in glaze on both sides by dunking each side quickly. Set them on a wire rack to let the excess drip off onto the baking paper underneath. Once you reach the end, re-dip for a second time. We are having the storm here in Ohio, too. Doughnuts sound amazing !